FOR SALE: A lovely family home with good-sized garden and treehouse occupying a plot close to woodland. Quiet, leafy road, good schools, close to the sea and commutable to London. Perfect for kids, fitness enthusiasts, dog walkers . . . And, it seems, the perfect hunting ground for a serial killer. On a hot July day, Garrick and Olivia Lockwood and their two children move into 25 The Avenue looking for a fresh start. They arrive in the midst of a media frenzy: they'd heard about the local murders in the press, but Garrick was certain the killer would be caught and it would all be over in no time. Besides, they'd got the house at a steal and he was convinced he could flip it for a fortune. The neighbours seemed to be the very picture of community spirit. But everyone has secrets, and the residents in The Avenue are no exception. 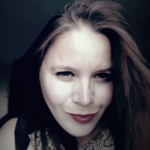 After six months on the case with no real leads, the most recent murder has turned DC Wildeve Stanton's life upside down, and now she has her own motive for hunting down the killer - quickly. 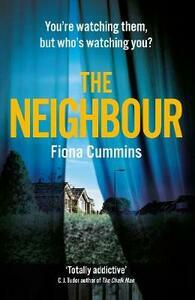 The Neighbour is a thrilling standalone novel by the author of Rattle, Fiona Cummins.